Summer riding is in full swing and you’re ready to ride to your full potential. But is your bike up to the task? Worn out parts can make your bike feel inefficient, unresponsive, and less comfortable. 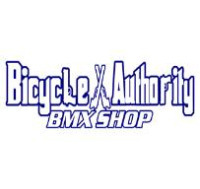 The winter months are hard on your bike, with the wet sand and dirt rapidly wearing down your moving parts. Here are five areas to inspect on your bike to see if it’s time to replace some parts. Thankfully these parts don’t cost a lot of money, so it’s affordable to restore the performance of your bicycle and make it feel new again. Grips are one of the cheapest bicycle parts you can buy, and new grips really help make your bike feel new again. 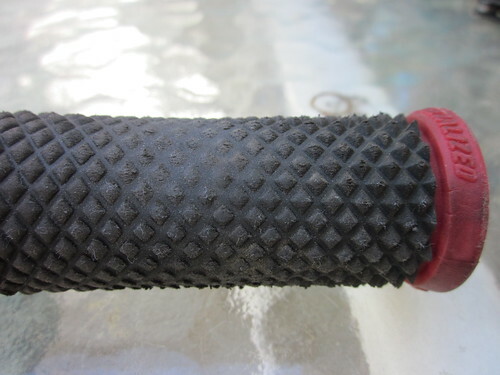 Just a couple millimeters of worn rubber can adversely affect comfort and hand grip. Additionally, handlebars that have poked through the end of the grips pose a danger should you crash your bike (think little cookie cutters). 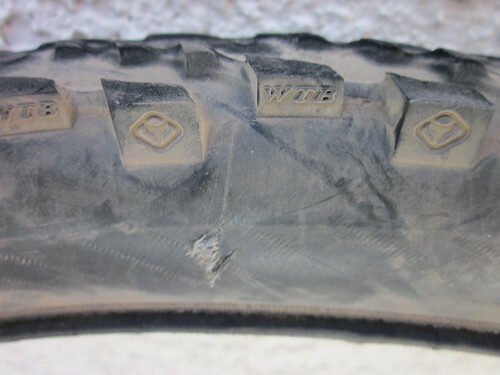 What to look for: Worn down tread. Handlebars poking through the ends. Tires are the interface between the bicycle and the ground. If the tires are worn out, climbing, descending, turning, braking, acceleration, and rolling resistance can all be affected. The rear tire seems to wear out at twice the rate as the front, and is usually the tire that needs replacing first. Don’t forget to inspect the tire’s sidewalls. Tubes can poke out through tears and holes in the tire and cause flats. What to look for: Lack of braking power, tires that slip on the climb, tire feels vague in the corners, tread worn down to the casing, torn knobbies, exposed casing threads, sidewall damage. Inspect your tire tread for excessive wear and the sidewalls for damage. As the bushings beneath your chain’s rollers begin to wear down, the chain starts to stretch out. 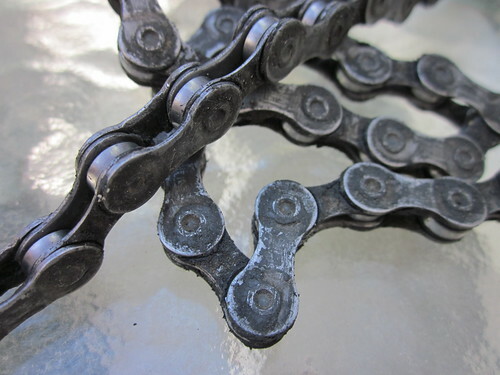 Worn chains shift poorly and wear down your chain rings and cassettes prematurely. Since chains are a lot cheaper than new chain rings and cassettes, it’s a good idea to replace your worn chain and prolong the life of these parts. What to look for: Measure your chain with a chain wear indicator, rollers that appear loose on the bushings, bent links. Stretched chains shift poorly and wear down the other parts of your drivetrain. 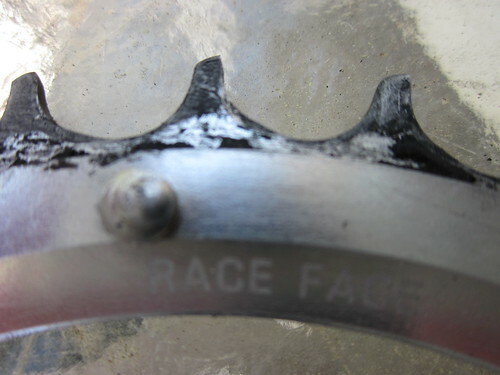 Worn out teeth on your cassette and chain rings will decrease shifting performance and will make your pedaling feel inefficient and less responsive. Instead of instantly pulling the chain around the cog, the chain roller will slide back and the up the leading edge of the worn tooth until it finally engages. This creates a mushy feeling when pedaling hard. What to look for: The area between the teeth should be a uniform “U” shape (not shaped like a Nike swoosh). Poor shifting. Chain may slip under heavy load. Worn chain ring. Notice the leading edge is severely worn away. Worn out brake pads won’t stop your bike efficiently, can be noisy, and can even damage your rims or disc rotors if they are left to wear down past the limit. Rear brake pads wear down at about twice the rate of front pads. Changing disc brake pads is snap, and they come with easy to follow instructions. Needle-nose pliers can come in handy during pad replacement. 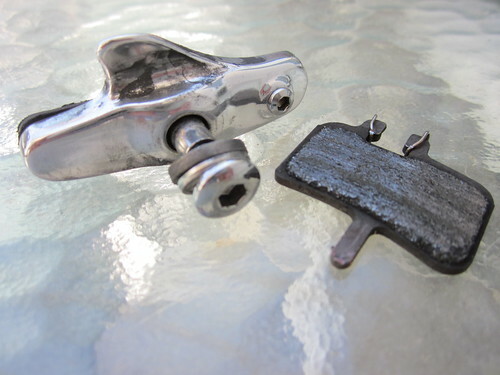 Some rim brake pads have replaceable inserts. This saves you money, since you only replace the rubber part. Look for a little bolt on the side of the pad. Simply loosen the bolt, slide out the old pad, and slide in a new one. What to look for: Decreased braking performance, squealing brakes. Rim brakes are easy to visually inspect, but disc brake pads may need to be removed from the calipers for a full visual inspection. The replacement of the parts mentioned above is relatively easy, but will require a few bicycle specific tools. 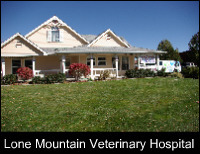 Since these maintenance tasks need to be performed regularly, purchasing a few tools may be a good investment. The other option of course, is to take your bike down to your local bike shop. An easy way to check for chain stretch (if you don’t have the proper tool) is to take a tape measure and line up an inch mark on one chain pin. 12″ inches from that pin should line up on another pin. If your is off by 1/8″ or more, it’s time to replace the chain. It’s worked well for me. Just did some measuring… Brand new chain on MTB is dead on. 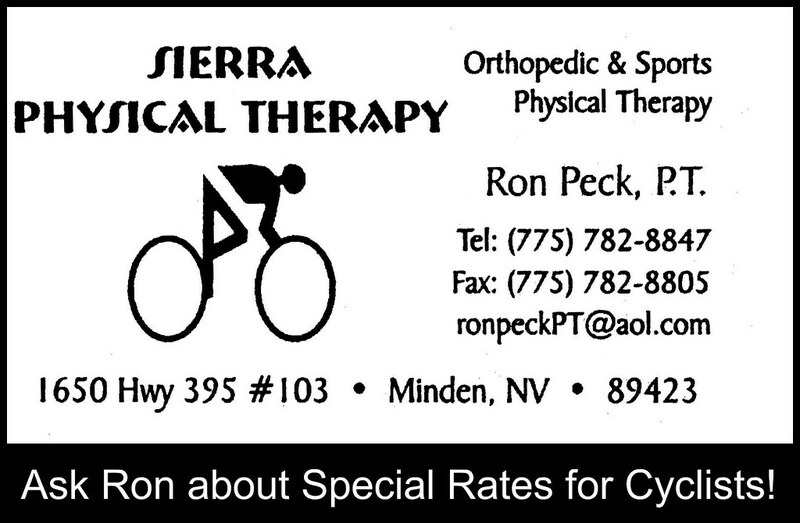 Year old chains on road bikes, mine is about 1/16″ off and Sandie’s is about 1/32″ off. Will need new road chains after Death Ride this weekend.